Every new product is born in the lab – every new process is born in small batches, but often evolves into large scale production. IKA uses this knowledge to your advantage and expands the product range for the cosmetics industry with innovative machines and equipment that will help you tap into new markets. 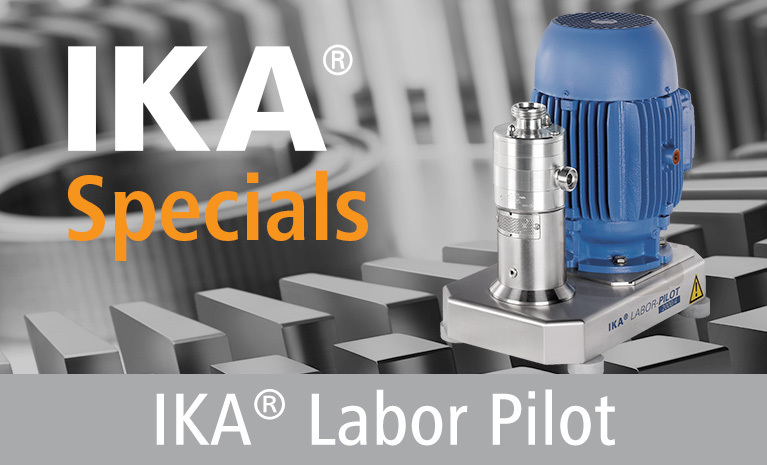 With machines ranging in size from lab to pilot, IKA offers you the accurately functioning pattern to realize your production idea. IKA versatile mixing technologies improve the dispersing quality. This decreases production times and therefore increases your company’s productivity. Experiences in the lab can be reliably transferred over to the actual production scale. After all, regardless of their size, IKA machines of any series achieve consistent results. Several different mixing systems are available for the production of O/W, W/O, W/O/W emulsions, suspensions, particulate matter, and colloidal substance solutions. The most challenging task innovative mixing technologists are faced with is the production of stabile and effective emulsions. Here, IKA has extensive experience and world-wide references. A classic cosmetic emulsion is meant to preserve or build up the acid mantle and permeation barriers of healthy skin. 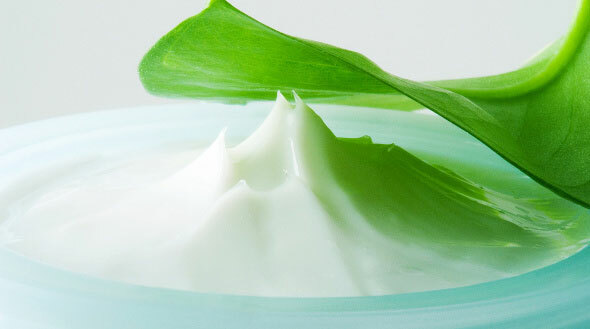 Modern cosmetic emulsions additionally contain specific ingredients that influence the skin cells’ processes. This is why maintaining the current hygiene standards during the production of cosmetic products is of utmost priority to IKA. Creams, ointments, and lotions include a wide variety of products, which are manufactured in a similar manner. The process generally involves dispersion and hydration of thickening agents, colors, perfumes, and active ingredients into either an oil or water phase. The two phases are then emulsified, cooled, and packaged. The challenges to the manufacturer are to effectively hydrate all the powders (which are often difficult to disperse), emulsify the phases, and maintain a consistent product. Using IKA® Works Mixers addresses all of these concerns. Improved consistency and viscosity control. The viscosity of the final product will often depend on the level of hydration of the thickening agents and droplet size achieved during emulsification. Using conventional methods does not guarantee full hydration of thickeners or ensure a stable emulsion with tight and consistent droplet sizes. IKA® Works’ line of high shear mixing devices addresses these concerns. Full hydration of thickeners is assured through the intense shearing action of the IKA® Generators. Thus, a consistent viscosity is achieved at a given solids loading. Stable emulsions with tight particle size distributions are achieved with IKA® Works Mixers. The exact droplet size required can be obtained by optimizing the Generator or mixing tool selection for the application. Decreased process time. Conventional methods often take long periods of time to adequately hydrate solids and form the final emulsion. Utilizing an IKA® Mixer, with its intense energy input, rapidly accelerates these processes. Carbopol® (Carbopol® is a registered trademark of Noveon, Inc) is one of the most commonly used carbomers, a family of ingredients used in cosmetics to thicken, suspend, stabilize, and emulsify a wide range of recipes. Carbopol® is a light, dusting powder, which will easily raft (float) on a liquid surface unless substantial agitation is applied. Once incorporated into the liquid, the powder often forms agglomerates or fish-eyes. The final viscosity is also sensitive to pH. Therefore, a base (high pH material) must often be added to achieve the finished viscosity. IKA® Works range of high shear mixers offer cosmetics manufacturers solutions to all the above concerns. Easy incorporation into liquid. IKA® offers multiple mixer designs, both batch and inline, suitable for dispersing Carbopol® . The CMS and MHD mixers allow the powder to be added directly to the liquid stream, without dusting or aeration. Smooth consistent product. The high shear rotor / stator action of an IKA® Works Mixer ensures no agglomerates are present in the final product. Decreased operator input. IKA® Mixers are not as sensitive to rates of ingredient addition as other devices. IKA® Works also offers their customers the option of complete systems with automated powder feed and PLC controls. Decreased raw materials costs. The absence of agglomerates allows processors to avoid filtration and wasted powder. Also, the intimate dispersion achieved with an IKA® Works rotor / stator mixer ensures full hydration of powders and rapid pH adjustment with tight control, avoiding excessive caustic usage. Toothpaste is a common household item that most of us take for granted. However, the manufacturing process holds a number of challenges for processors. Toothpaste is manufactured by dispersing various solids into an aqueous base. The solids include thickeners (i.e. CMC, cellulose, xanthan gum, etc. ), abrasives (i.e. silica), flavors, coloring agents, and other ingredients (i.e. fluoride). Traditional mixing techniques result in long blend times, lumps or agglomerates in the product, unstable product (phase separation), and wasted raw materials. Customers using IKA® Works Mixers have found solutions to these challenges along with other process benefits. Improved product quality. The high shear mixing action of an IKA® Mixer ensures complete, instantaneous dispersion of all solids. Reduced filtration and waste. Gums and thickening agents commonly form fish-eyes or agglomerates on addition to water. Using an IKA® High Shear Mixer ensures that these lumps are broken down, exposing all of the powder to the liquid and completing hydration. The processor no longer has clogged filters or wasted raw materials. Reduced process time. Traditional methods require long agitation times to hydrate and disperse powders. IKA® employs innovative Generator designs to ensure all materials are quickly dispersed or hydrated, often in a single pass. Ease of scale-up. Unlike competitors, IKA® Works Mixers maintain a constant shear rate from lab to production scale. We accomplish this by maintaining tolerances, geometries, and tip speed across our entire product line. This allows customers to move from lab to pilot plant to production without reformulating.